the Good Bed Guys offer the best value your money can buy. Everyone can afford a hand made mattress! 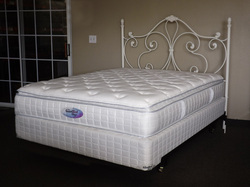 Our exclusive technique produces a button tufting through all layers of upholstery and the innerspring, locking everything securely in place, no shifting or bunching. The resiliency of cotton and its durability make it the superior upholstery material. The finest Domestic and Belgian damasks, along with Specialty and Traditional cotton covers. What’s on the outside of the bed is just as important as what’s in the bed! with a medium firm innerspring. 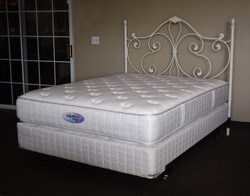 youth & adult mattress sets.